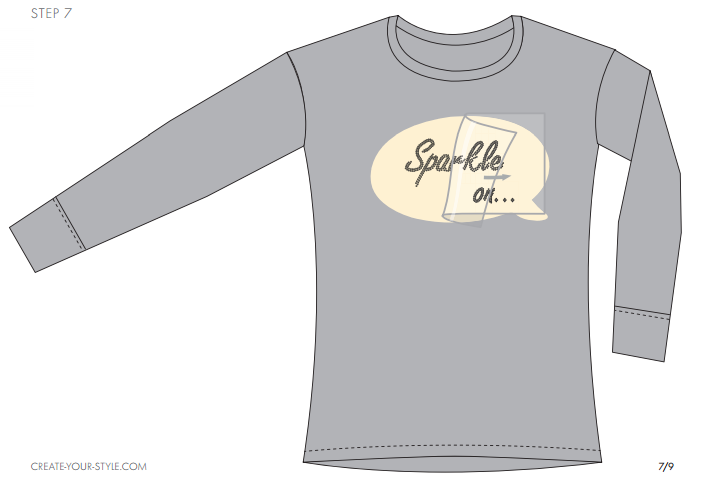 Design Your Own “Sparkle On” Jumper ~ DIY Design and Instructions! Raise your cool factor with a look straight off the sidewalks of Paris, London and Milan’s Fashion Weeks. 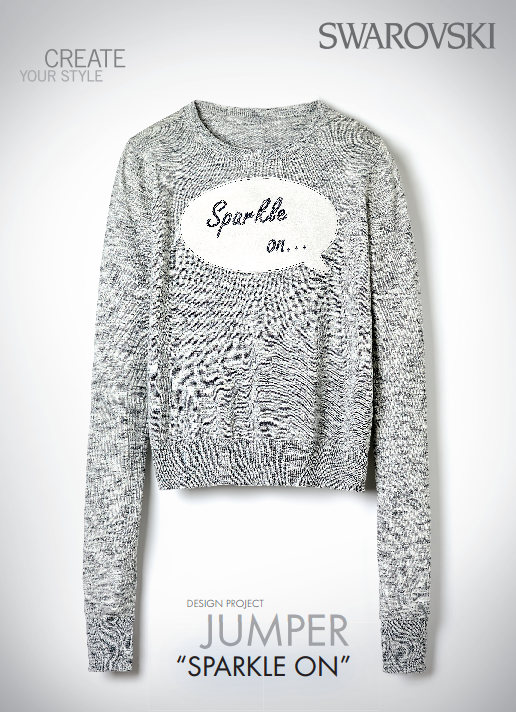 Sparkle up a plain jumper with a few cleverly placed Swarovski Flat Backs, and be dazzling! 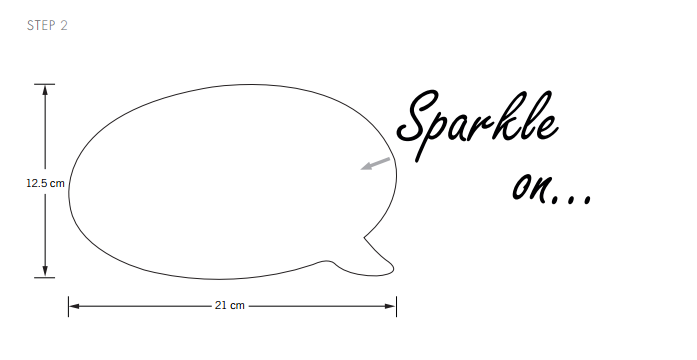 This design project is for beginners and take a look at the text instructions at the bottom. 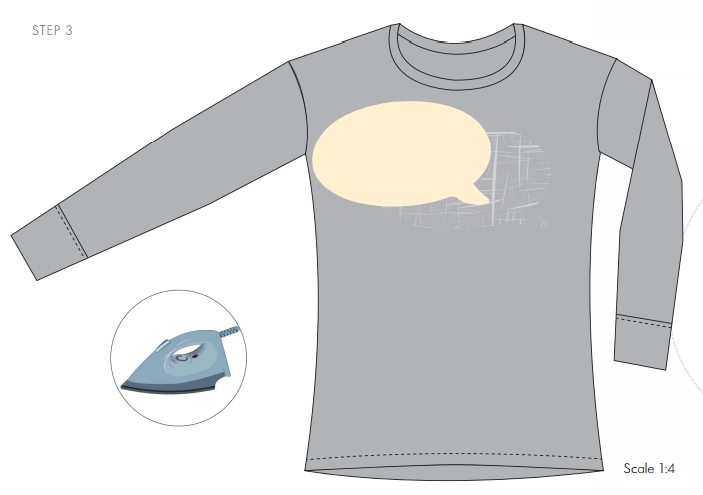 STEP 1: Print and cut out the text pattern shown in the illustration. 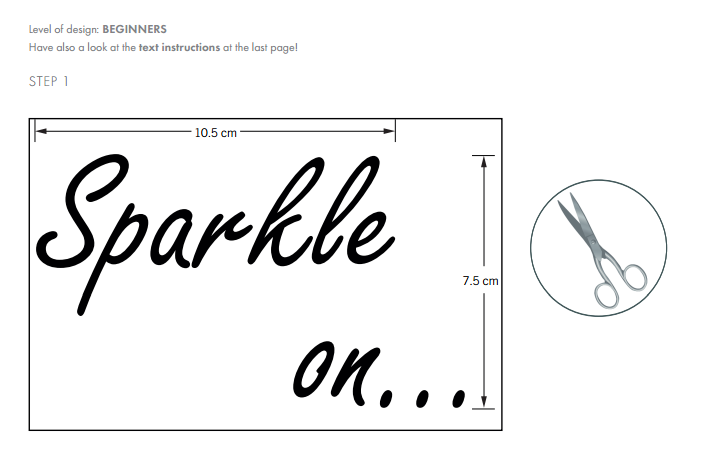 STEP 2: Create a “dialog box” of similar sizing as the pattern or simply print it out to correct size and stick the text pattern created in the previous step on it. 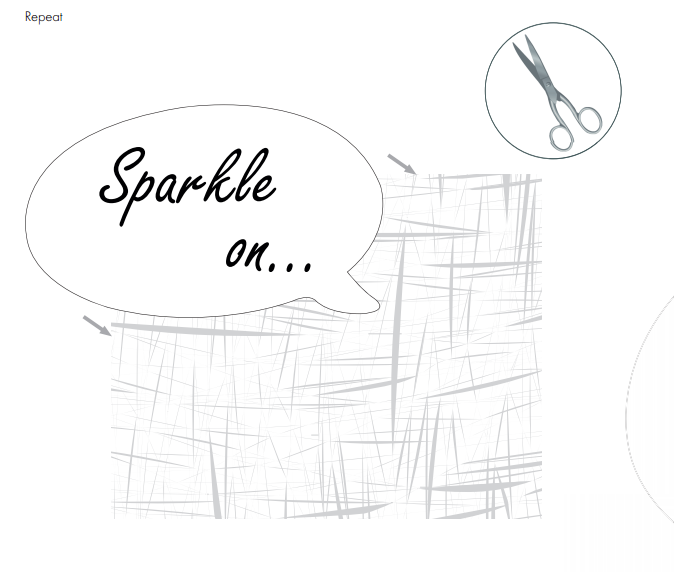 Place the pattern onto a fabric piece and cut out the shape. Repeat this step with the fusible interlining piece. STEP 3: Place the interlining in between the T-shirt and the fabric and iron to secure. STEP 4: Place the transfer sheet over the pattern. 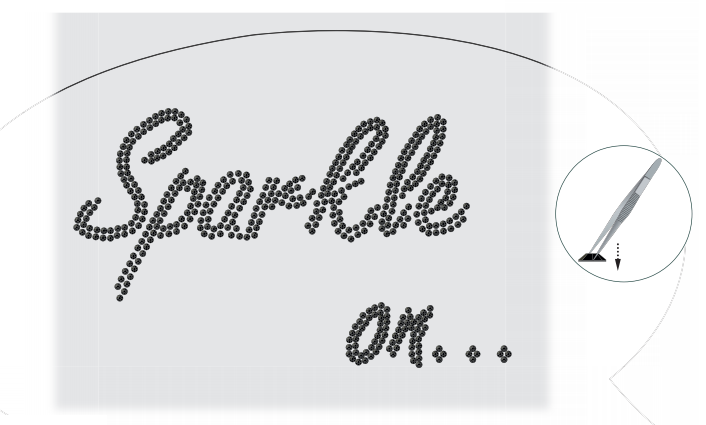 Place the Swarovski Flat Backs No Hotfix over the pattern exactly over the text using tweezers. 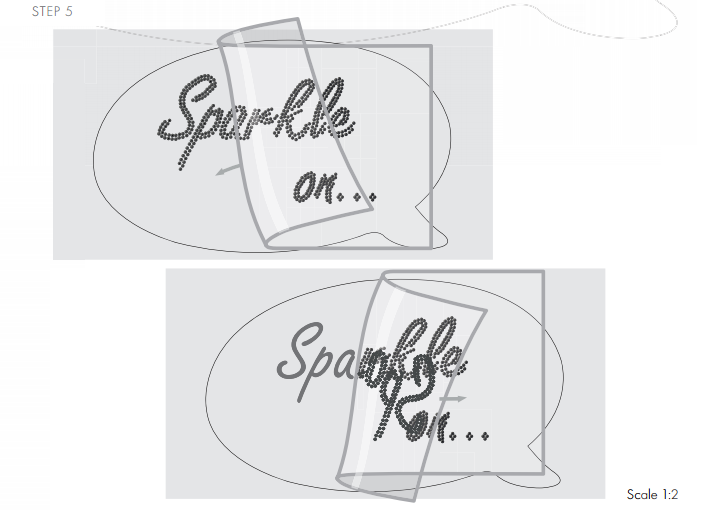 STEP 5: Place the transfer film over the text and pull the transfer film back to get all the crystals on to it as shown in our illustrations with this step. 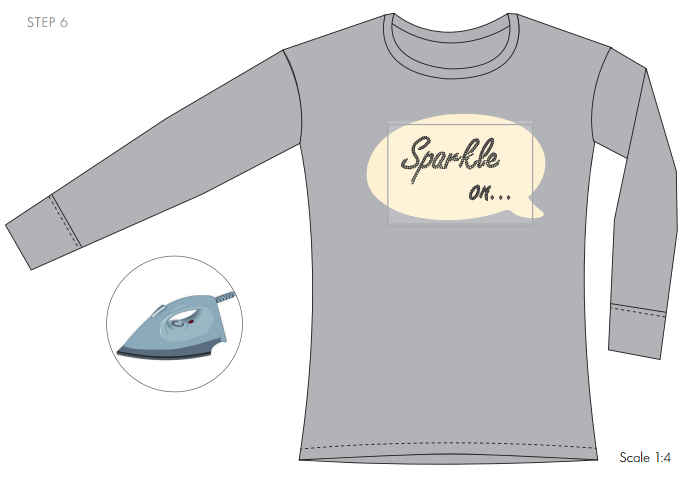 STEP 6: Stick the transfer film onto the T-shirt and iron it with hot iron so the hotfix glue on the back of the stones adheres to the fabric. Press the iron firmly down on top of the transfer for about 30 seconds. STEP 7: Let the transfer cool and then remove the film slowly. If some of the stones do not stick to the fabric repeat this step until all the stones are securely affixed to the fabric. 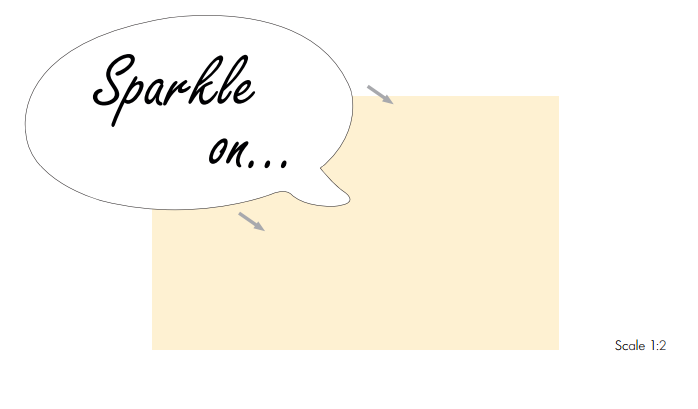 Have fun adding sparkles to your wardrobe! This entry was posted in DIY and Resources and tagged 2038-5ss Hot Fix Flat Back Rhinestones In Jet Black, cheap Swarovski Flatback rhinestone stones, crystals with glue on the back, Design and instructions using crystal flat back rhinestones, Designs with crystals on clothing, DIY Crystal project, DIY Crystals to clothing, DIY design ironing crystal rhinestones to clothing, DIY instructions on how to apply Swarovski Crystals, DIY iron on crystals to clothing, DIY Swarovski Crystal Rhinestone Flatbacks, DIY sweatshirt with Swarovski Crystals, DIY with sparkles, free design and instructions on how to apply flatback crystals to clothing, free DIY crystal designs, free DIY Swarovski Crystal designs, How to apply Swarovski Crystal Flat back Rhinestones to shirts, instructions on how to apply crystals to clothing, instructions on how to iron on crystals, iron on crystals, Jet Blac Swarovski Crystal stones, Rainbows of Light, Rhinestones with glue on back, Sparkle on sweatshirt DIY project, Step-by-Step Instructions on how to apply crystals to clothes, Swarovski beads wholesale, Swarovski Crystal Flat backs Hot Fix, Swarovski Crystal Flatback Design with Step-by-Step Instructions, Swarovski Crystal Flatbacks Hot Fix, Swarovski Crystal Jet black Flat backs, Swarovski Crystal Jet black Rhinestones, Swarovski Crystal Jet Flatbacks, Swarovski Crystal Rhinestones, wholesale crystal rhinestones, wholesale swarovski, wholesale swarovski crystals, wholesale Swarovski Rhinestones. Bookmark the permalink. 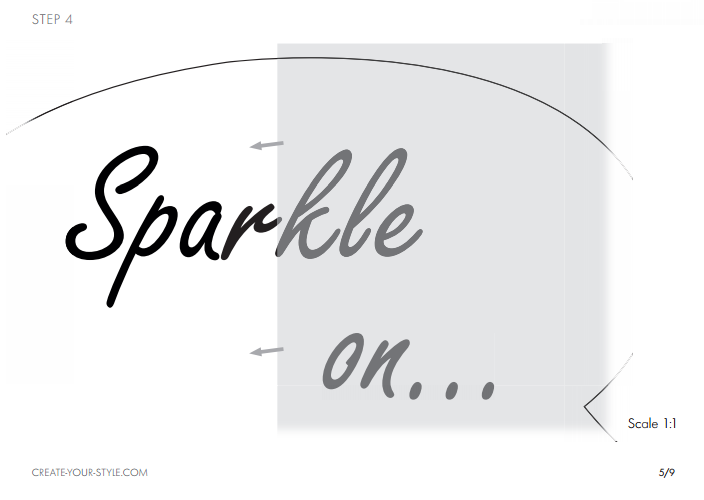 ← DIY Face Gems ~ Applying Swarovski Crystals to Your Face Is Oh So Fun!